Sleaford Cricket Club’s Sue Shorthouse has been shortlisted in a national competition to find the unsung heroes of grassroots cricket. 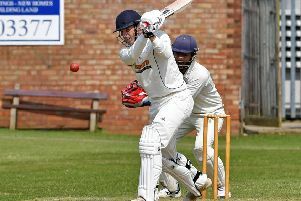 The Hardys Heartbeat of the Club received hundreds of nominations from club cricketers across the UK and submissions were whittled down by a panel of experts, including England star Stuart Broad, to a final XI who are in the running for the honour. Sue fulfils several roles at the club as membership secretary, social committee member, tea extraordinaire and organiser of Sleaford CC’s outdoor cinema night, and was nominated for her all-round commitment to the club. You can vote for Sue at hardyswines.com/winthehardyspavilion and the winner will be announced at the end of September.